So many of us stay on the edges of this story wrestling with fear and doubt. Could it really be true? Could life really change? It’s time to step out of the shadows and into the light. 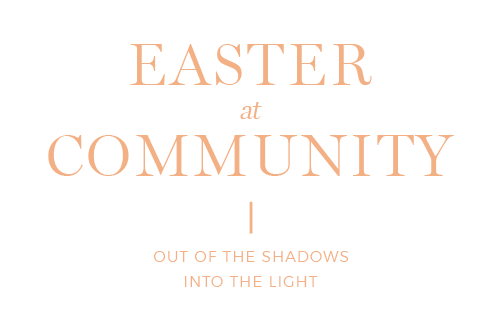 Join us this Easter at COMMUNITY!